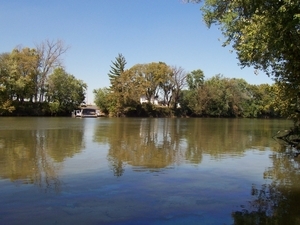 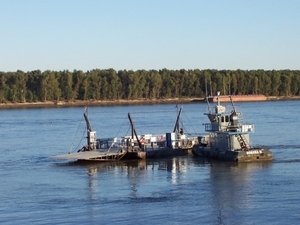 Description: Rochester Ferry (Oct. 3, 2004). 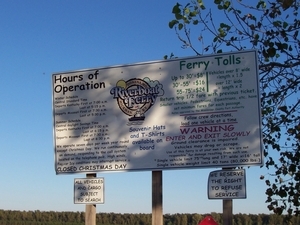 Description: Rochest Ferry (Oct. 3, 2004). 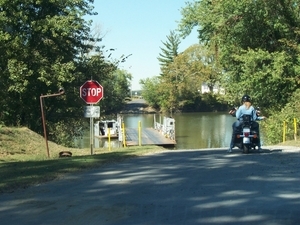 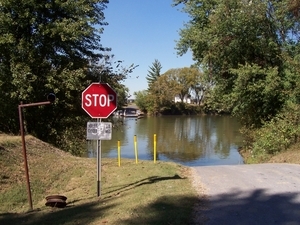 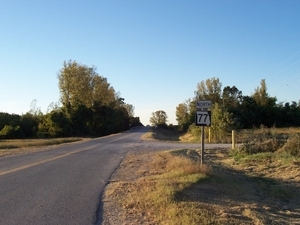 Description: Hickman-Dorena Ferry (Oct. 3, 2004). 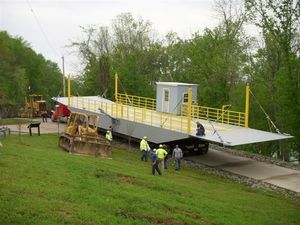 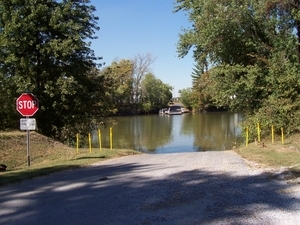 Description: New KY 214 ferry barge on the boat ramp. 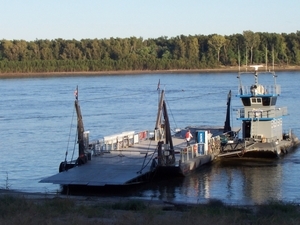 Description: Heavy equipment used to get the new KY 214 ferry into the water. 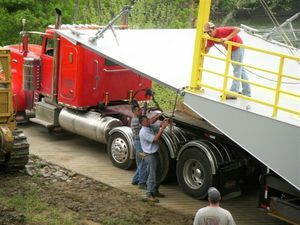 Description: Brian Froedge and Joe Stephens unchain the new KY 214 ferry from the tractor trailer. 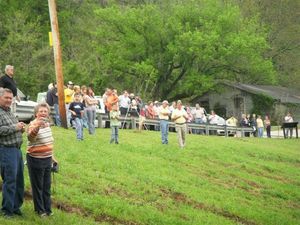 Description: Crowd gathers to watch history in the making for Monroe County. 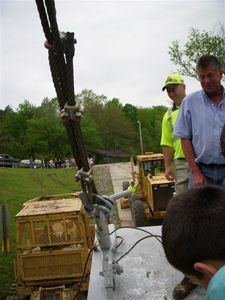 Description: Shawn Massingille, KYTC foreman for Monroe County, and Joe Stephens react as the Sloan is christened with a bottle of champagne. 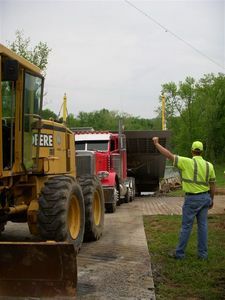 Description: Brian Froedge peers over the side with a giant smile of relief. 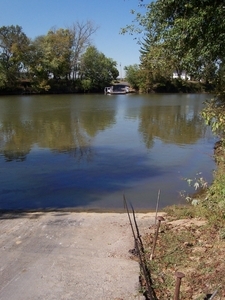 She floats! 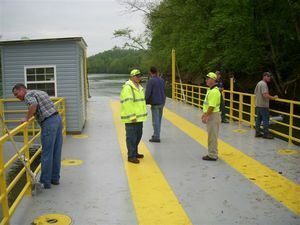 Brian's company (Grandview Welding and Equipment Company) constructed the new ferry in approximately 10 weeks. 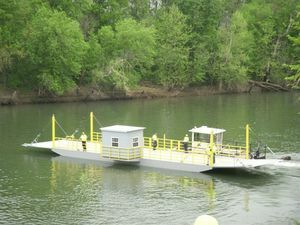 Description: New ferry in the river with tug attached - Looking Good!